Drinkin’, whiskey, cars, trouble, women, God and Texas – Dallas, Texas that is. That has been the story of the Old 97’s since their first record, Hitchhike To Rome which was released back in 1994. This veteran group returned this year with an album that embraced the alt-country world they helped build. Graveyard Whistling delightfully is the groups best record since 2008’s Blame It On Gravity and is easily in their top 5. 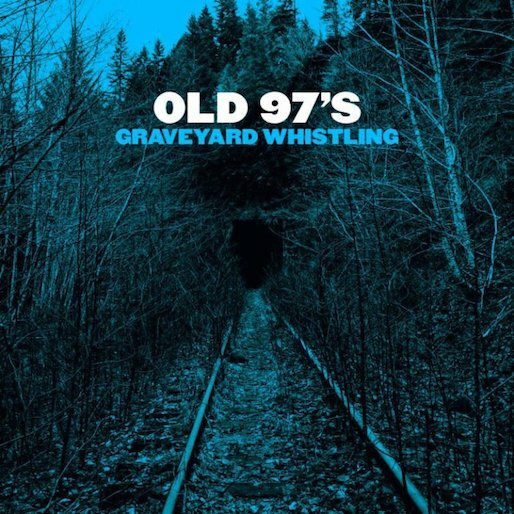 Overall, there was nothing to dislike on Graveyard Whistling if you are a fan as the Old 97’s sound as young as ever. After the clamor and scrawl of Big Thief’s debut album, Masterpiece, it might be a surprise to some to find the quiet moments on Capacity. There’s an intimacy here, between songwriter and listener, and even in its quieter moments, it still remained as intense as the band’s roaring rockers. 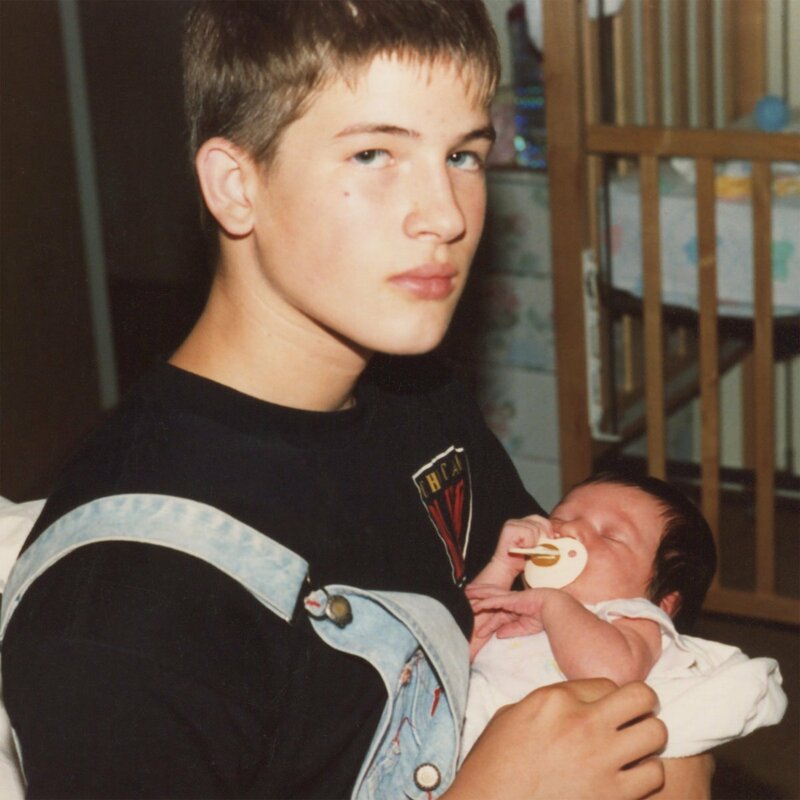 You can see the life lived on these songs from Big Thief, in the images they conjure as it tested our limits, to fill ourselves both positively and negatively with the things that make the world spin. What was an unabashedly progressive rock band doing on John Dwyer’s Castle Face imprint? t seems an odd marriage at first. But then again, the line between Psych and Prog has always been a little blurry to say the least and even more modernized with Once & Future Band. Once & Future band are not clones. What they’re doing is updating an entire genre by putting a very unique spin on it. 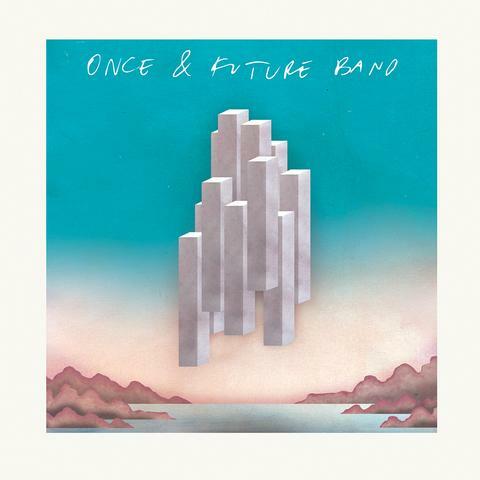 Once & Future Band created a very solid batch of songs that all sound like they belong together and flow well throughout. If Prog was going to move into the indie world Once & Future Band will be on the front line as they courageously defy current trends. A. Savage is best known as one of the frontman for Parquet Courts. Thawing Dawn is his first solo record, that was recorded between December 2016 and June 2017 by a group of Savage’s friends that included members of Woods, Ultimate Painting, PC Worship, EZTV, Sunwatchers, and Psychic TV. A. 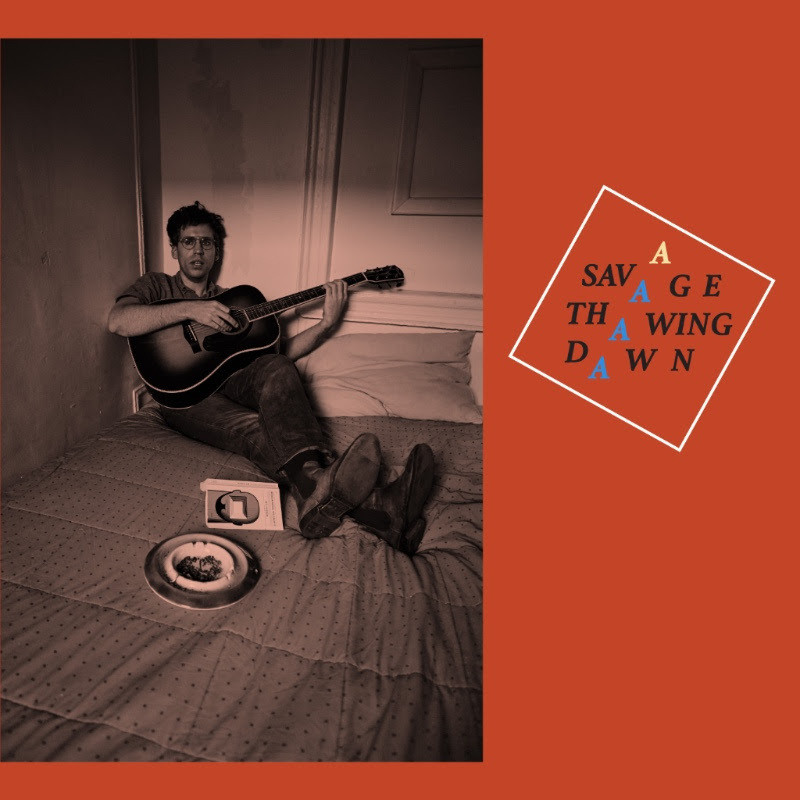 Savage brought his crooner skills and kept it fairly simple here as it has many different flavors from spaghetti western strumming to rocking out to a great indie rock church performance. He is a true talent. Maturity is a weird thing because not only does it seem to happen overnight but you can typically identify the very “moment” it takes place. You can recognize it in your friends, in your own kids, your favorite athlete, actor and author and usually in your favorite artist. 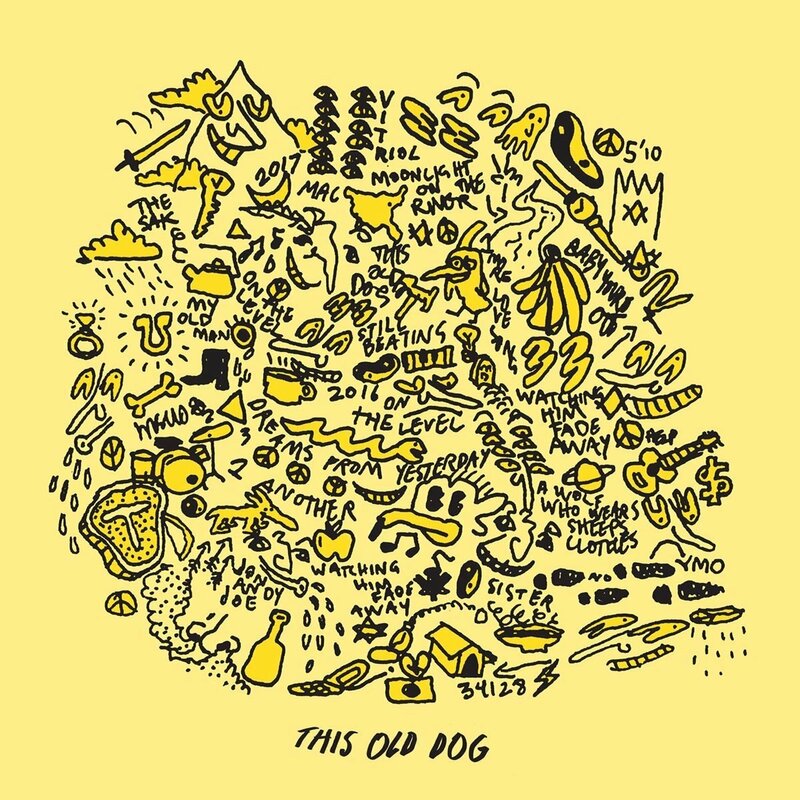 For the lighthearted and laid-back indie nice guy, Mac DeMarco, his third full length record, This Old Dog, is his “moment.” This record never broke out and showcased a very relaxed DeMarco. You bundle the heartfelt subject matter with his wavy crooning vocals, comfortable approach and truly mature songwriting, This Old Dog resulted in another fantastic edition to his catalog. 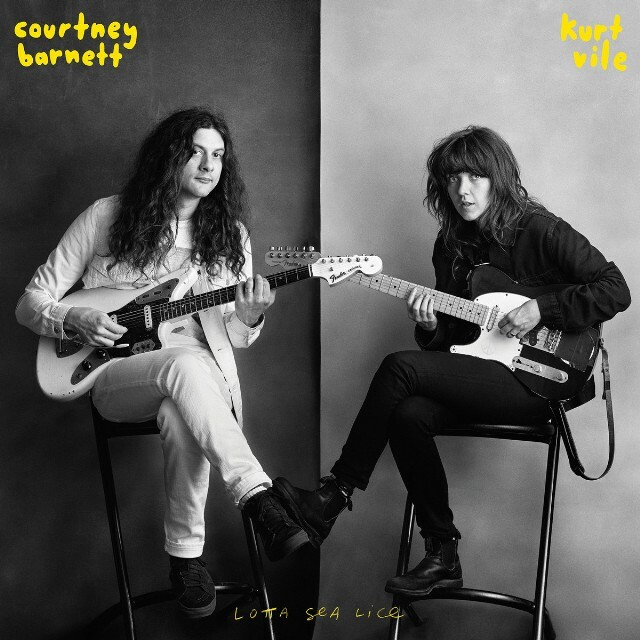 In today’s indie music scene, I couldn’t think of a current pairing that have an equal rising momentum like Kurt Vile and Courtney Barnett. Lotta Sea Lice found them teaming up and essentially hanging out for this nine-song record. What makes Lotta Sea Lice successful is that it is a real collaboration and neither artist takes over the record. The songwriting is strong and the arrangements are memorable. It is an album that you can put on and play and its timeless vibe will keep you coming back. Lotta Sea Lice is an interesting conversation at the coffee house that comes complete with guitars and everyone is invited. 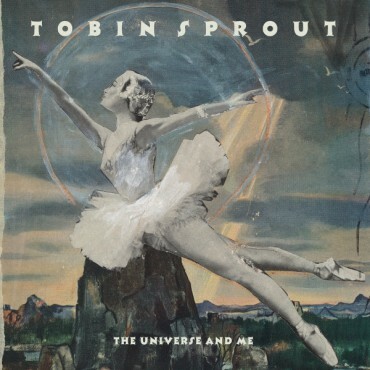 Tobin Sprout’s first album in seven years is wistful, poignant and brings the rock. This album kicked off 2017 right as The Universe and Me ran the gamut of what you would want in a Tobin Sprout record. There are the crunchy power pop tracks, the bright, nostalgic Guided By Voices trips and the poignant heavy hitters that can wring a tear from your eyes and put a lump in your throat. The Universe And Me is a showcase of some exceptional songwriting and excellent production. ORB hail from Australia and run around with label mates King Gizzard & The Lizard Wizard which are both on Flightless and Castle Face Records. Naturality is their sophomore record. Naturality continues some of their known sludge rock but now this muscle finds the group working a psych pop angle with more vocals and shorter compositions. Naturality show that ORB have more personality, creativeness and energy while still giving fans the power thumping tracks. 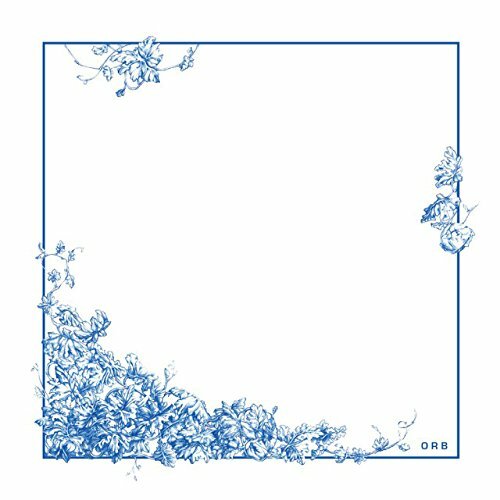 The record is fierce, bombastic and has swagger right down to the end as ORB is another solid Australian act that are coming into their own with this entertaining album. Brooklyn band BIRDS offer a very organic free flowing fuzzed-out mix of psychedelic rock that sways around some in the Elephant 6 Collective style like an Apples In Stereo and The Minders. 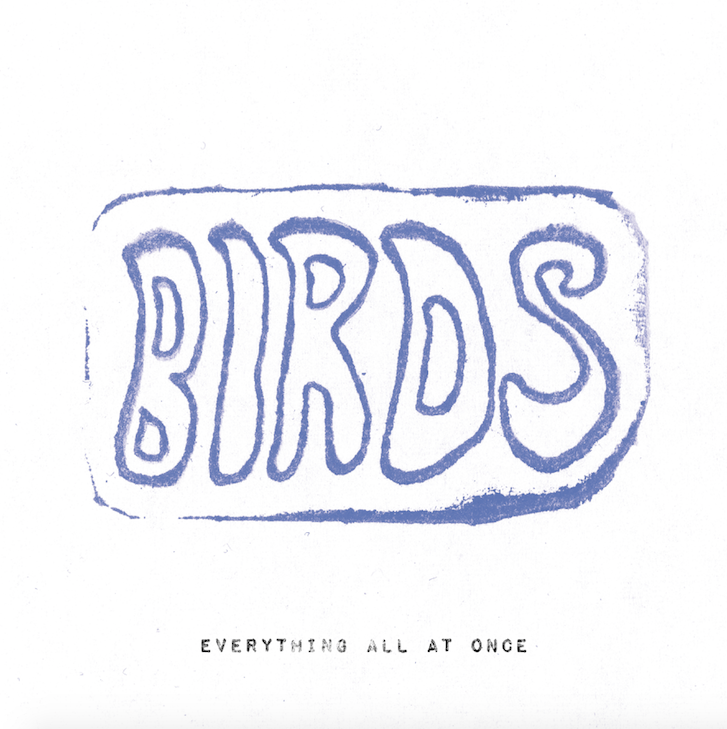 BIRDS do not stay in that mode though as they also have a Kurt Vile meets Swervedriver energy throughout the album. This mix of shoegaze is where Everything All At Once finds its uniqueness because the band can smolder songs with big waves of reverb while still offering plenty of upbeat indie rock that comes with a youthful vigor. A very promising debut as we look forward to what the BIRDS release next. 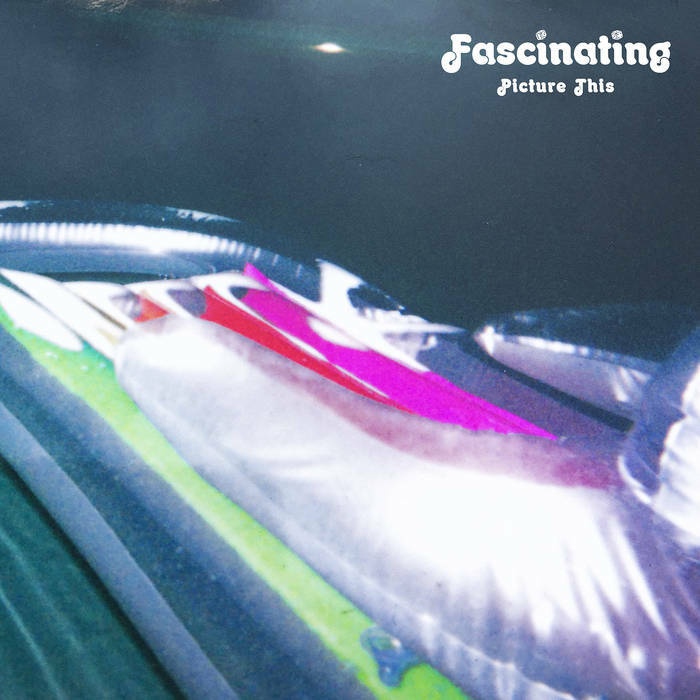 Flotation Toy Warning returned after a 13-year hiatus and delivered an excellent record. 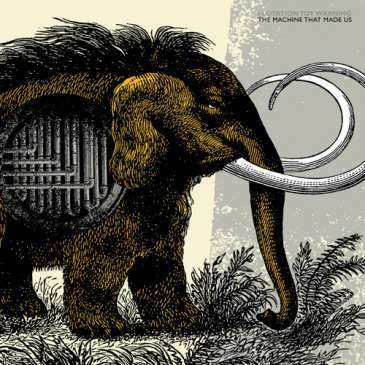 The Machine That Made Us clocks in at just over an hour-long running time and encompasses 10 carefully crafted and beautifully layered songs. Each track is a journey, a chapter in a deliberately paced adventure novel. The music and lyrics fill your head with such strange and vivid visions that you cannot wait to get to the next chapter. You will need to spend some time with this album to appreciate it fully. If you have been looking for a reason to buy some high-quality headphones, this album is it. From one perspective, Beast Epic is a “safe” record, from Iron & Wine that is a culmination of Sam Beam’s earlier experiments; instead of adding new pieces to the puzzle, Beam is starting to put it together. It may not be as surprising as previous releases have been, but there’s something oddly compelling about an Iron & Wine album emphasizing craft over novelty. 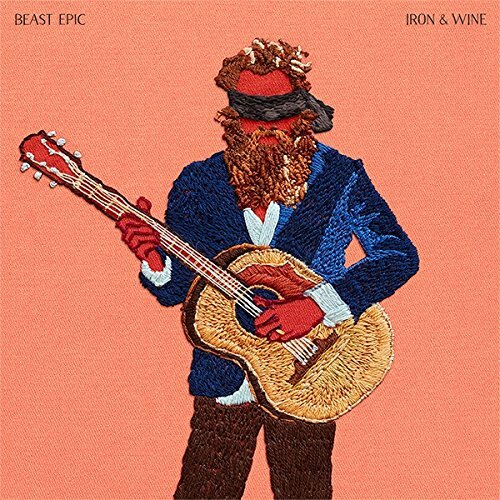 If this is the sound of Sam Beam settling into a groove, then it’s about time because not only does Beast Epic fit like a good old pair of sneakers – it is an excellent highlight on Iron & Wine’s talents. St. Vincent’s eponymously titled 4th solo album, released in 2014, was easily her most accessible album, while also delivering some pretty amazing songs packaged with electro-pop polish, and marked by her unique guitar playing. She returned with Masseduction, that can be warm and close, or cold and hard, but it’s impossible to ignore. Once again, St. Vincent was able to offer something fresh that included funk hooks, darker techno vibes, and industrial tones that all were driven with her stand out vocals. While her songs are melodically evocative, St. Vincent was thinking big picture here and created an artistic statement about the current shape of the world, or at least her experience of it. The end result made Masseducation evocative as it is engaging, and as challenging as it is entertaining. Adam’s 2014 self-titled album dealt with the beginning of a pulling away from an unspoken someone, so this time around Adams reached into rock history to see how they dealt with horrible breakups. And where some would reach for Dylan’s Blood on the Tracks, Adams reaches into Springsteen’s own 1987 document of the dissolution of his marriage, Tunnel of Love. 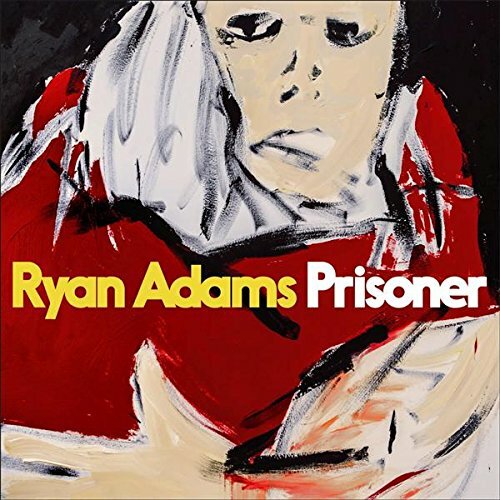 Adams doesn’t hold anything back here as the songs display his pain as the album’s trajectory has as an arc, so as the songs click by, so does the weight of his loss. In the end, Prisoner was another top record in this career artists catalog. 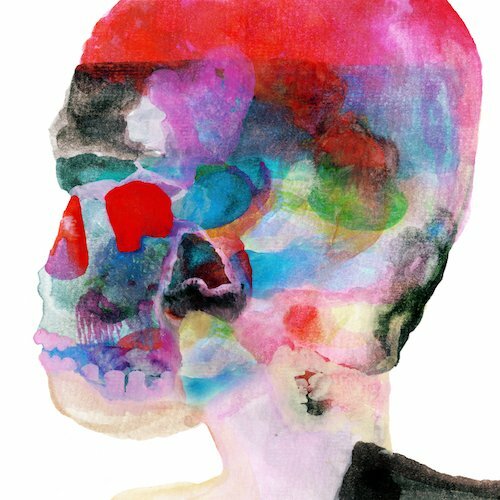 In a world that is constantly changing, and as likely to disappoint as often as it pleases, we’ll always be able to count on Spoon, the Austin indie rock band that continues to give up the goods on their 9th studio album Hot Thoughts. There’s a recognizable shift in sound away from guitars and toward a bolder keyboard presence, but that Spoon swagger was left intact. Like an old friend with a reputation for consistency, Spoon is a band that will always find a warm welcome. Hot Thoughts unique take on keyboard pop and disco from their unique place in the alternative rock universe, is a solid addition to the Spoon catalog. 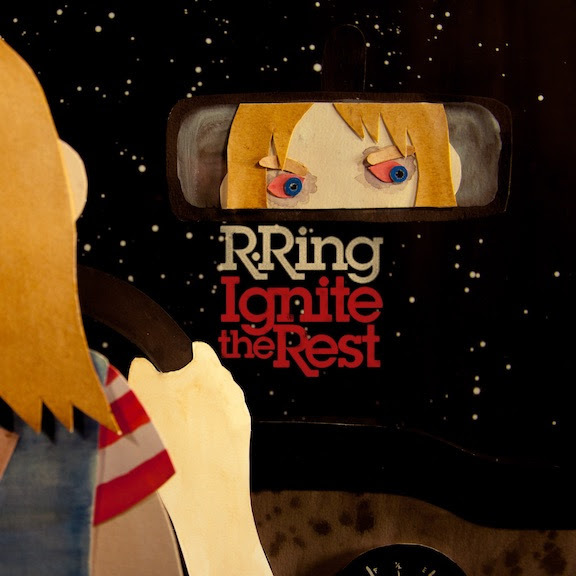 Kelley Deal (Breeders) and Mike Montgomery (Ampline) joined forces as R. Ring and finally released their debut LP. Ignite the Rest is a stunning debut that helped people stop whining about wanting another Breeders record as R. Ring delivered 12 tracks with great cohesion. The band clearly has their own voice but Deal’s vocals give it an indie edge that had us wanting more. Her singing just draws you into each song and keeps you hanging on each lyric. Hopefully, after the Breeders storm the scene in 2018 we will hear more R. Ring soon! Fascinating is one of our favorite Ohio “slop-pop” groups that is fronted by Quality Time Records main man Ricky Hamilton. They play a delightfully fuzzed up lo-fi post-punk that is gritty, determined and quick. Picture This followed last year’s solid Dice Game structure but tightens the pop madness bolts and rolls out an even more grooving distorted ride. Simple and to the point but right on key are why Fascinating stay in your head. If you are looking for a buzz band that will fill your speakers with a sing-along wall of distortion then Picture This is a release you need to hear and Fascinating is a band you should know. Alvvays’s sophomore album Antisocialites is an indie pop delight. 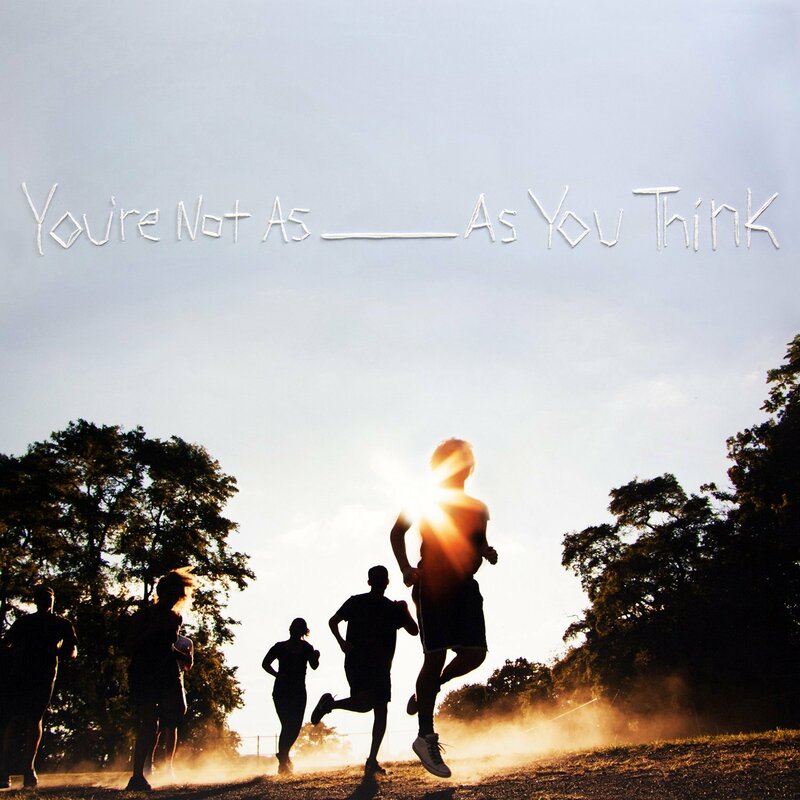 The Toronto band made a splash three years ago with their self-titled debut and their jangle pop is still both interesting and fun. 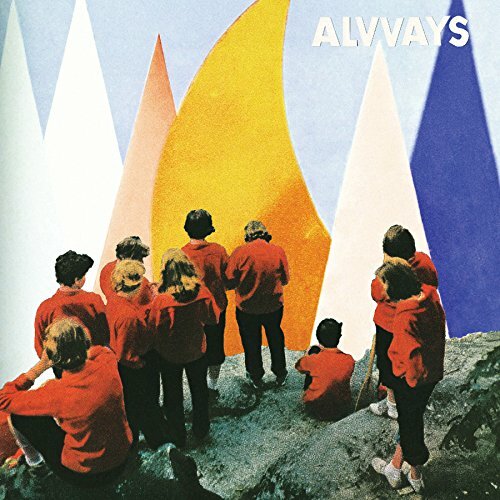 Listening to Antisocialites, it sounds like Camera Obscura and Best Coast have passed on the torch of cheery-but-not-really jangle pop to Alvvays. This band continues to evolve and now that they have avoided a sophomore slump they will for sure be a bright spot with each new release. TFN is excited to see them grow. Pure Comedy will no doubt provoke numerous think pieces, and it’s difficult to resist the urge to join the fray. However, Father John Misty (aka Josh Tillman) has already done all the work; you just have to listen. 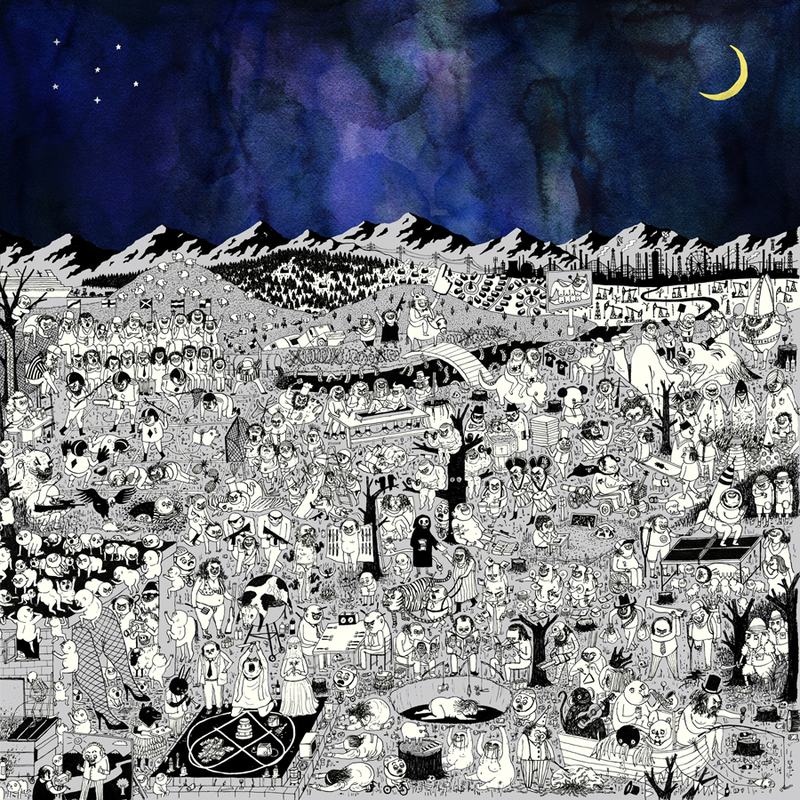 His lyrics have always been the reason to listen to Father John Misty and on this album, he is proclaiming himself to be a secular prophet, warning us about the traps and failings of modern life. With soft moments, lots of piano, acoustic guitar, and orchestral accompaniments, Pure Comedy takes you on a sonic adventure. The album is painfully confessional and extremely compelling. Take an hour to think and reflect about what Father John Misty has to say and you’ll walk away understanding him and his way of thinking much better. You also will probably hum along! Jason Isbell first gained national attention as a member of Drive-By Truckers, where he played with them from 2001 to ’07. In 2015, Isbell’s fifth solo album, Something More Than Free, was his biggest commercial success and he picked up Grammy awards that year for Best Americana Album and Best American Roots Song. His newest album with his band The 400 Unit, is a classic in its own right, rooted in phenomenal songwriting and spirited performances. On the whole, when Isbell lets The 400 Unit loose they rock hard and well, more intense than most everything on Something More Than Free, living up to their name. With his wife Amanda Shires on fiddle, Drivin’ N Cryin’ guitarist Sadler Vaden, and Derry DeBorja (formerly of Son Volt) on keyboards, it’s worth mentioning that they offer elegant and satisfying contributions to even on the quieter material, playing with artful restraint and melodic clarity. 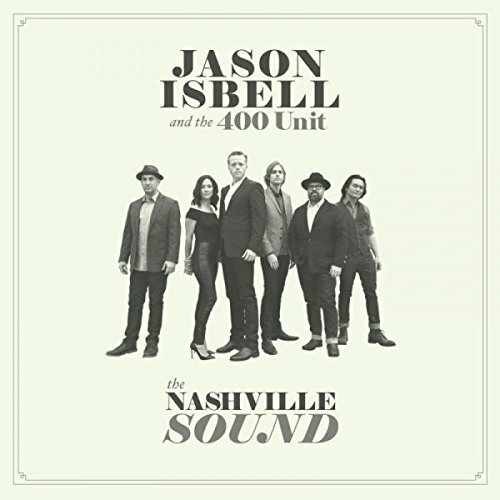 We have gladly watched Jason Isbell receive the exposure his work deserves and The Nashville Sound shows no signs of him slowing down. It would be easy to write off LCD Soundsystem, even convenient when you consider that on the surface some of their electronic dance tracks can feel repetitive and often run well past five minutes. There’s a dark, often ironic yet literate narrative, at work in James Murphy’s flowing lyrical storytelling, which can feel poignant and prescient even as it chronicles what could very well be a personal, inner dialogue. And it works without dragging one down, because the music is energetic and effervescent. 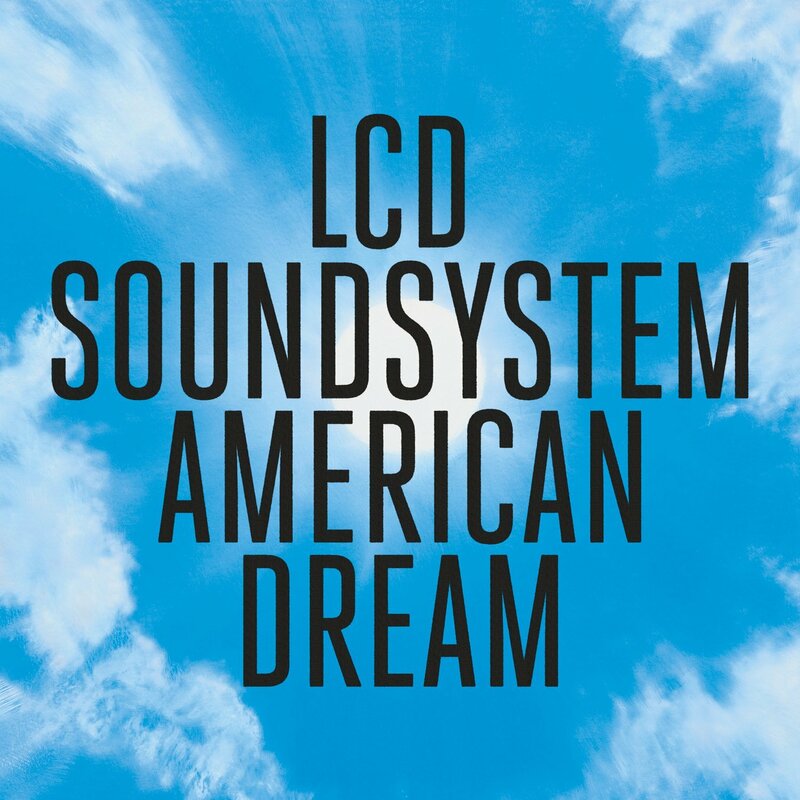 LCD Soundsystem’s take on the American Dream is far more realistic and delivers on its promises. With the recent passing of the “Screaming Eagle of Soul,” Charles Bradley, Sonny Knight in June and Sharon Jones last year, the retro soul movement has taken a serious blow. Their talents are irreplaceable but with Curtis Harding’s new record, Face Your Fear, you will hear that the genre still thrives. Face Your Fear shows that Harding can hold a groove with the best, and this record was produced with his friends Sam Cohen and Danger Mouse, so you know all the ends were polished to perfection. 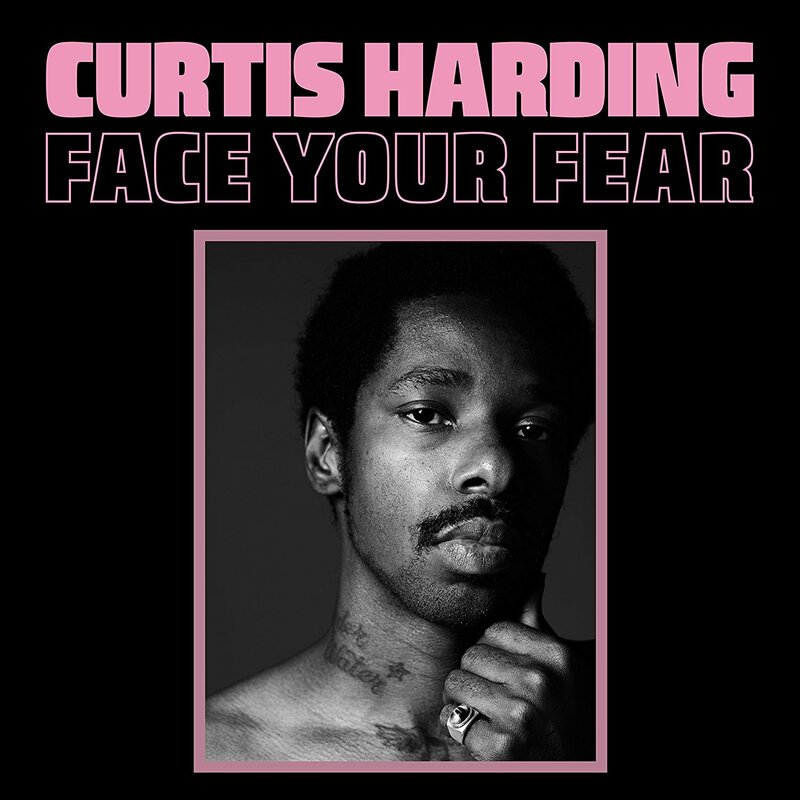 Face Your Fear is a career defining type of album that should pave the future for Curtis Harding. Maybe not right away or today but definitely for the future because Harding’s pure talent will continue to grow and we will eagerly await his next step. Sleep Well Beast is one of the most expansive sounding albums The National has released. It is their seventh studio album in four years and right out of the gate, you knew it was another solid crafted record. 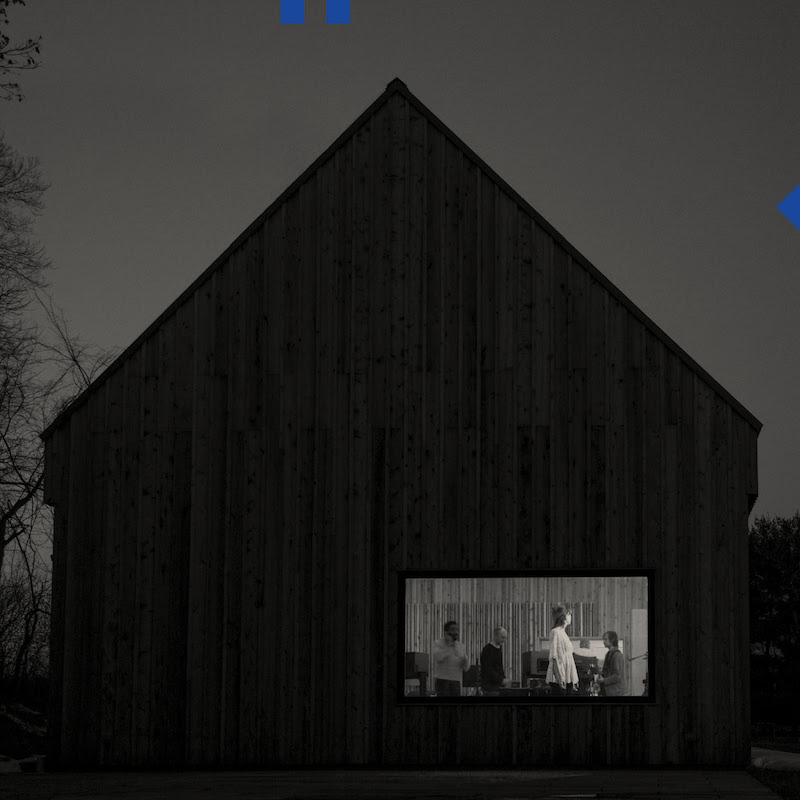 Probably the biggest surprise on Sleep Well Beast was The National’s use of electronics. The electronic beat backdrops expanded the band’s depth and gave the record a far reaching and boundary crossing electricity. Sleep Well Beast once again, offered something different from The National while sounding so familiar. This release surpasses Trouble Will Find Me and comes close to High Violet if I were to place them in order. The National show that the time away and involvement in multiple other projects has only made them more interesting, complete and complex because Sleep Well Beast is a solid ride. For a band with as many members as Broken Social Scene (15 to be exact), an album can go one of two ways. It could be a messy cacophony that never manages to have a unified sound or vibe. Or it could take the assets of each member and bring them together to exceed the sum of its parts. The former option is more likely while the latter is really difficult to pull off. And Broken Social Scene pulled it off here because for those of you who like depth to your music, you’ll revel in Hug of Thunder. 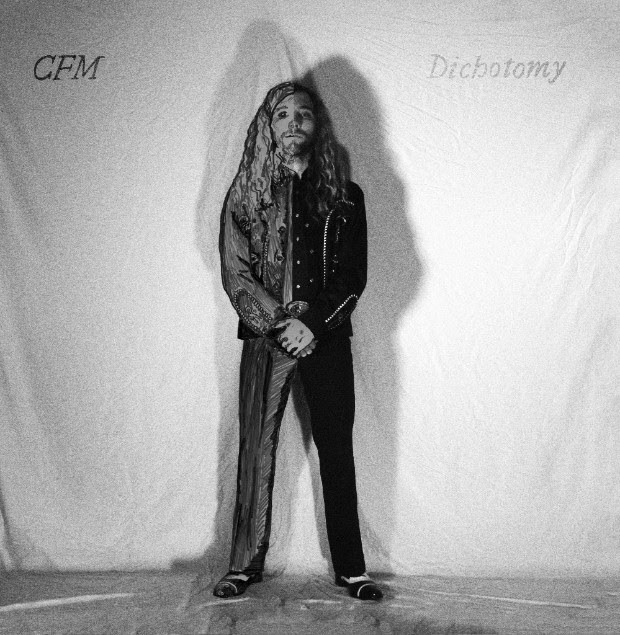 Dichotomy Desaturated is a bit of a departure from Charles Moothart’s past work with Ty Segall, Mikal Cronin and Fuzz. The album was just loaded with psychedelic rock magic similar to contemporaries Meatbodies and Wand but also shares some loose, lo-fi jangle rock vibes that remind TFN of Sebadoh III. Each track on Dichotomy Desaturated is a twisted, ever-shifting tale. Moothart is not afraid to test the bounds of musical structure and ends up creating a very pleasing album via a less than conventional approach to how to rock your socks off. 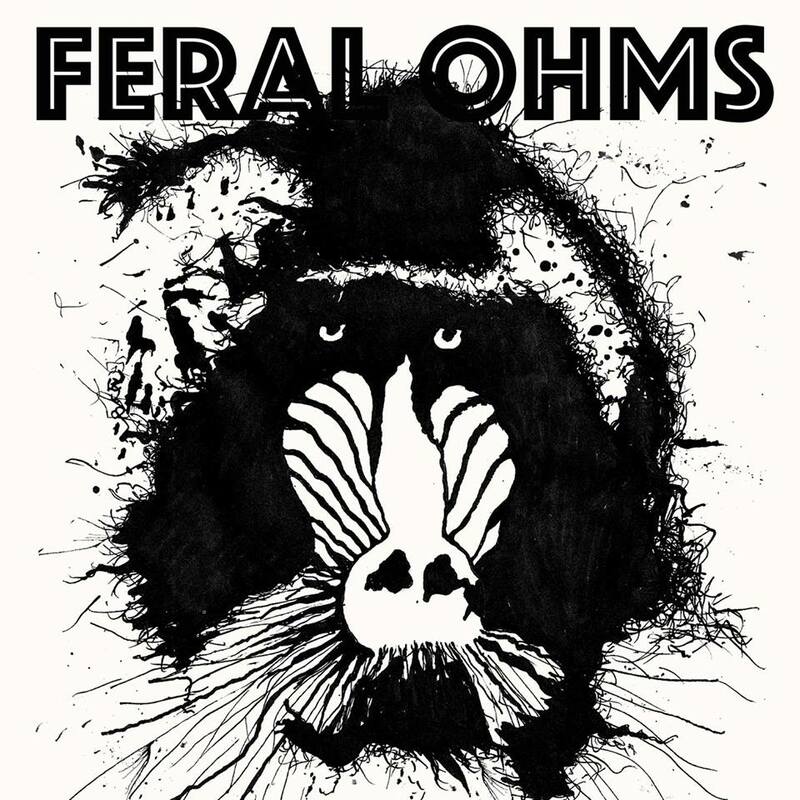 Feral Ohms hail from Oakland, California and released their much-anticipated self-titled studio debut this year. There is no other way to describe it but as a full-on rock assault. Feral Ohms leans more towards the Comets venom and combines elements of old school punk like The Stooges, Black Flag and MC5 but also contains this super power hard rock of an early Soundgarden to their overall delivery that increases the speaker shaking qualities. High octane flows continuously from song to song and makes this 26 minutes from Feral Ohms very hard to forget. Feral Ohms is a true new face on the rock scene and their self-titled debut should not be dismissed – it should be turned up to the max! 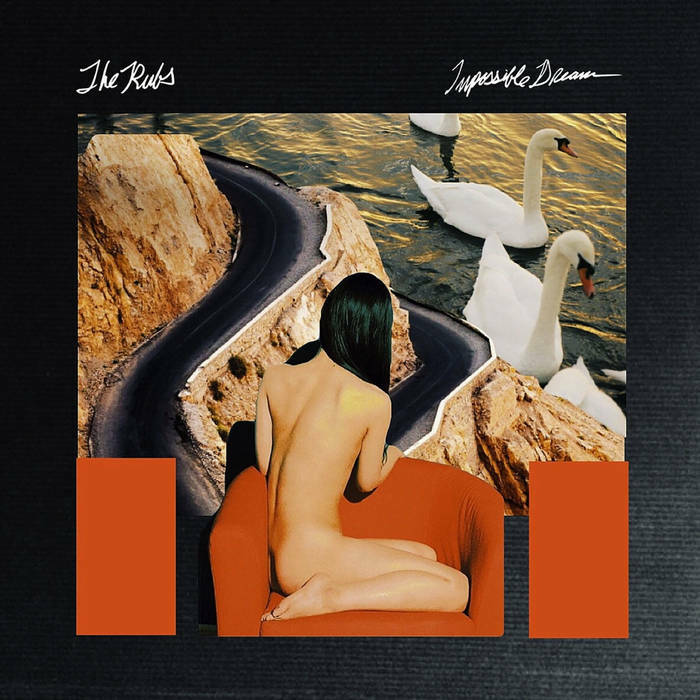 Impossible Dream is a solid power pop album from Chicago’s The Rubs that has classic recording vibes that will remind you of Big Star while singer Joey Rubbish floats out some Elvis Costello type chops. 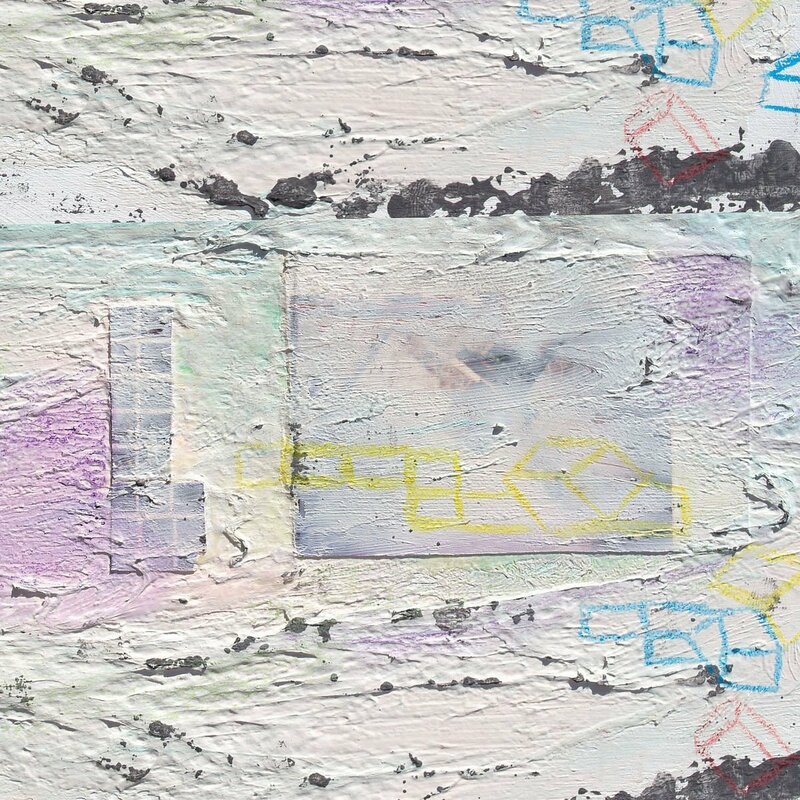 The modern roll of this group has both the gritty rock of The Strokes and the lo-fi jam of Connections. Impossible Dream was full of raw emotion and where it lacks in perfect studio sonics, the album makes up for it with its imperfect harmonies. This is a record that just gets more infectious with every spin and makes The Rubs new release one of the best surprises of 2017. 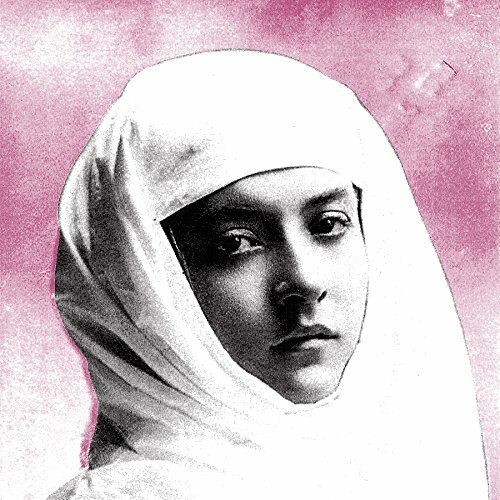 If Nick Cave fronted a modern era post punk band with a refined edge and a spoken word style that is like The Hold Steady you would find yourself with Protomartyr. The underlining intensity of Protomartyr’s fourth long player, Relatives In Descent, is where the band captures your ear and you follow every line singer Joe Casey delivers. This is a record that sits with the world’s current skepticism and how finding the bright spots have become harder and harder. Relatives In Descent is one of the better thought provoking slow burner rock albums you will hear this year. Its grind is its triumph, its peaking explosive moments are its strength and Casey’s leadership style will have you following anywhere. 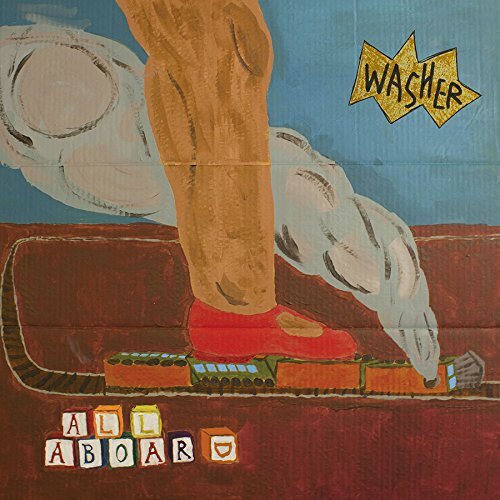 All Aboard builds off Washer’s solid debut and ended up being one of the best post-grunge albums of 2017. Washer’s sound fits in comfortably on Exploding in Sound’s current roster of incredible bands. It can be twisting and bending, it can be cataclysmic and edgy angst but most of all Washer brings the 90’s-era grunge/punk in their sound. It makes All Aboard a wonderfully catchy rocker that should not be ignored. Soft Sounds From Another Planet comforts and caresses like a nice warm blanket. This sophomore album contains smooth crescendos of beautiful choruses and a weightless music that’s light effort with maximum impact. 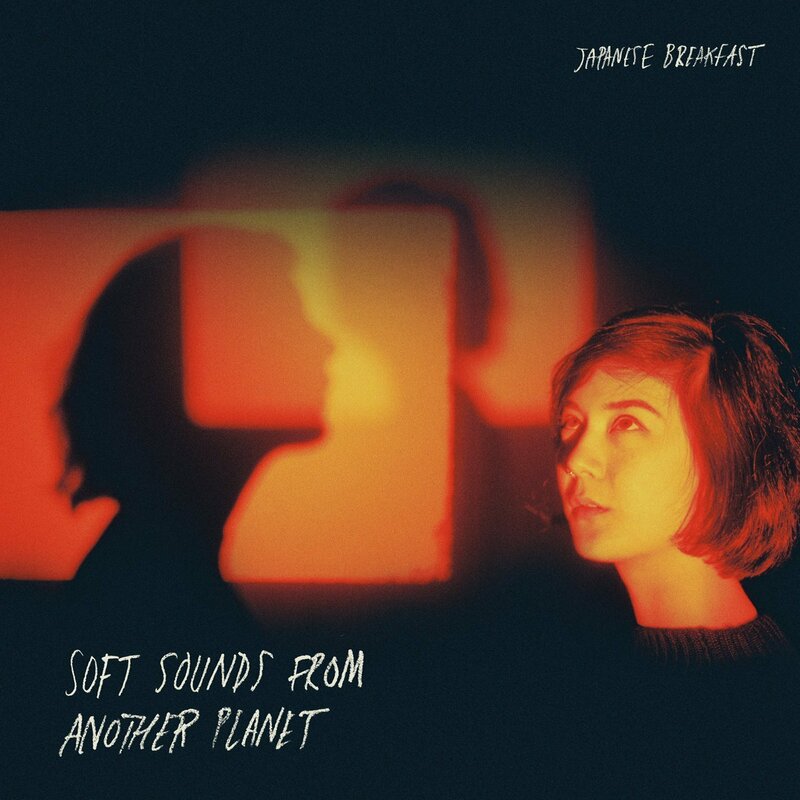 Japanese Breakfast’s Soft Sounds From Another Planet is a beautiful and tight introspective on how vocalist and creator Michelle Zauner views life, love, and the strange. It’s an album that grows on you with every listen and you always hear something new with every spin. Japanese Breakfast will be an artist to consistently watch from here on out. 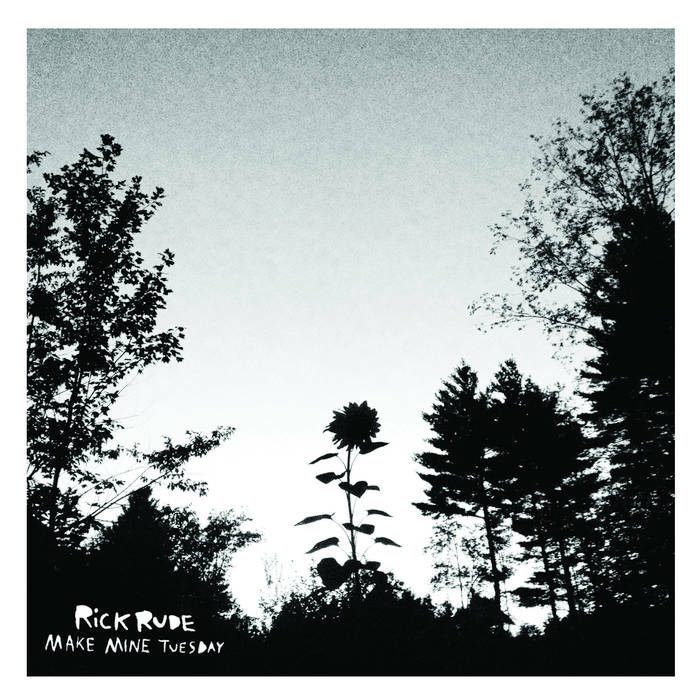 New Hampshire’s Rick Rude make a lasting impression with Make Mine Tuesday and represent the type of band TFN loves to introduce to our readers. Make Mine Tuesday was released back in January of this year, so it was easy to miss but if you want to hear a LP that keeps you on your toes and is not afraid to drift between Built to Spill and Heartless Bastards indie rock guitar moments but also hit you with some power-pop riffs right out of a Weezer or Pixies playbook, give Rick Rude a chance. Jay Som was doing her own DIY thing posting music online when Polyvinyl officially released her first batch of songs last year with the excellent introduction album Turn Into. The fresh spirited Bay Area-based singer, songwriter and multi-instrumentalist Melina Duterte (aka Jay Som) then released her proper debut, Everybody Works, which completely held up to expectations. Jay Som is the modern Liz Phair which fits neatly into today’s instant now attitude and other recent similar stand outs like Vagabon and Frankie Cosmos. 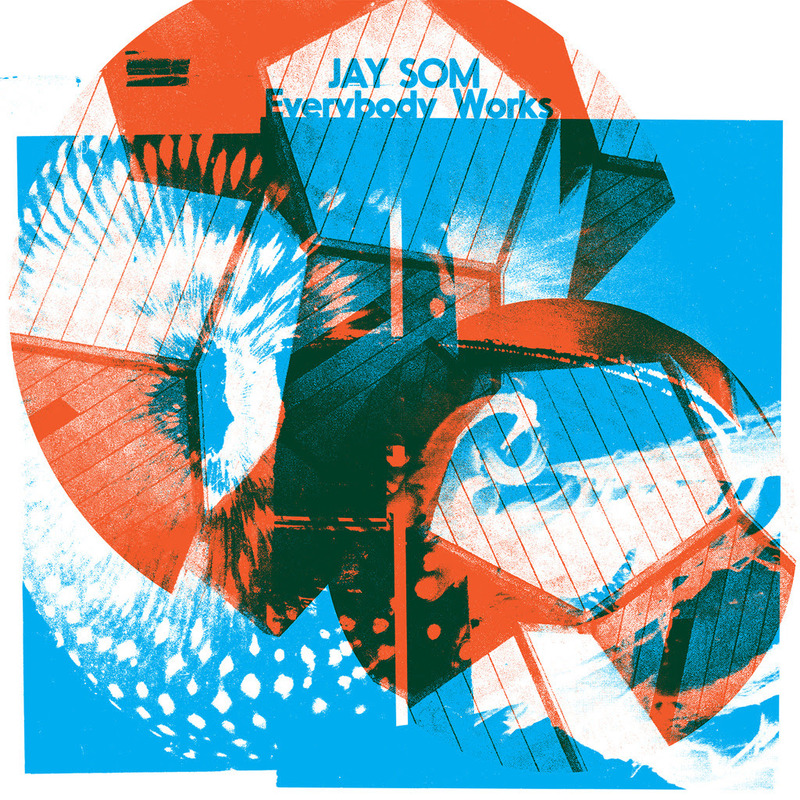 Everybody Works is a freewheeling indie affair that hopefully sets a path of success for Jay Som as it definitely sounds like the beginning to something great still to come! For John Dwyer, it doesn’t seem to matter much as his OCS/The Oh Sees/Thee Oh Sees/Oh Sees project continues to morph its 20-year psychedelic garage rock arc and it just keeps getting more interesting. Orc is Oh Sees 19th record and feels as fresh and new as anything the band has released to date. Orc sounded like a natural progression for the band that can shred off your speaker covers with its intense and fringe metal moments but also can give off a classic meets post-punk rock vibe. 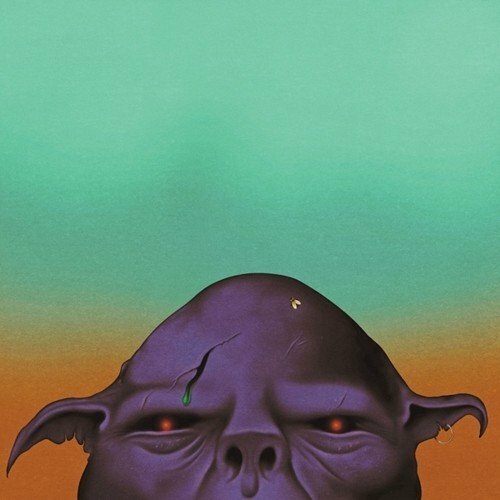 Orc holds no limits and sounded as free as anything the Oh Sees have put out. Its magic comes from the focal direction of the tracks – it never feels like it is going completely off the rails but as a listener you never know where you are going and have the sense that it could. That type of built-in anticipation is TFN kind of record! 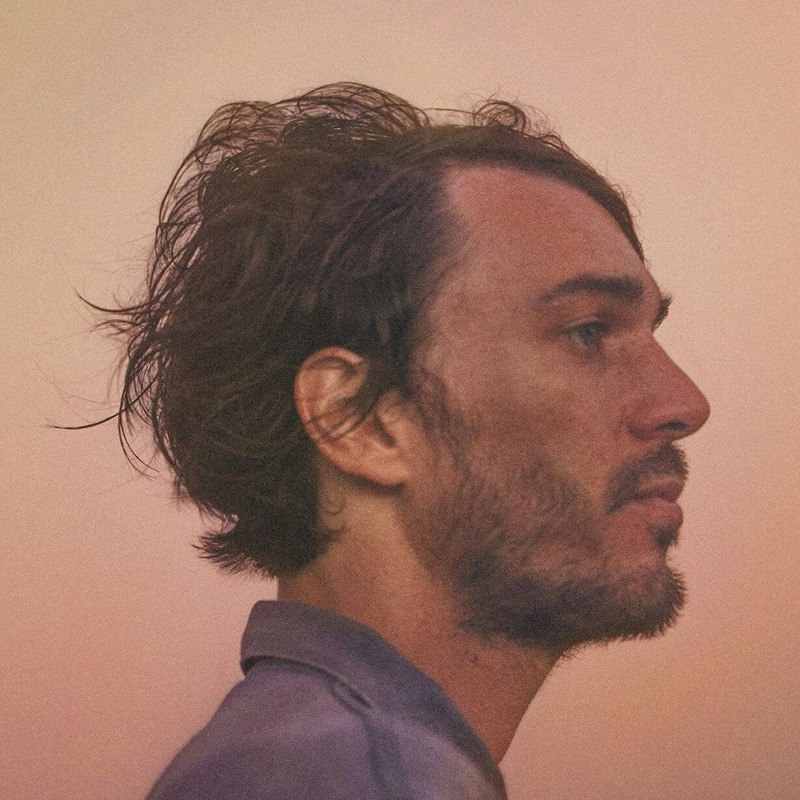 Margot and the Nuclear So and So‘s Richard Edwards debut solo album probably had to be the surprise release of the year. It still remains under the radar in many circles but its autobiographical nature makes Lemon Cotton Candy Sunset feel like more than an assemblage of songs. The vulnerabilities expressed are gripping and catchy, hateful yet beautiful, and it has endings and beginnings. Edwards is now unhindered, out in the open and it shows. This rawness and honesty drives Lemon Cotton Candy Sunset and made it one of the most gorgeous sounding albums of the year. 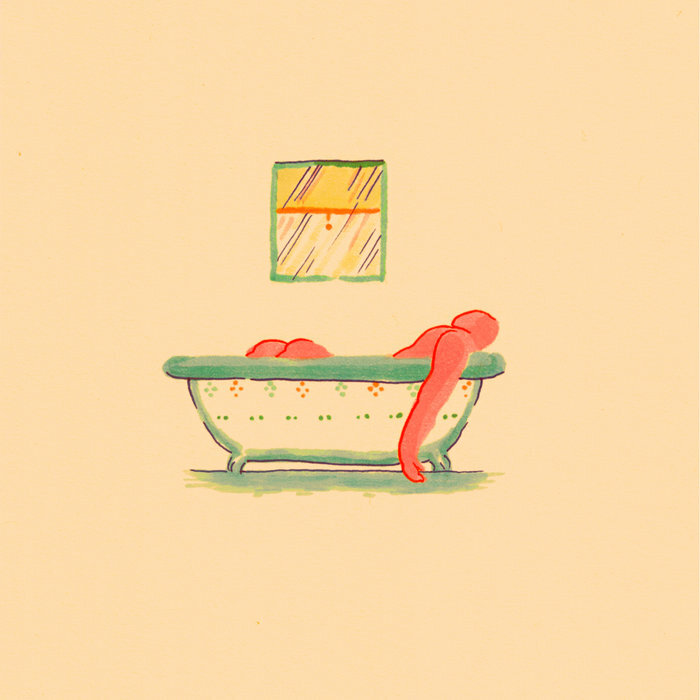 Boston-based Pile pulled off another stunning effort with A Hairshirt Of Purpose as it is an album that takes more time to reveal its charm. With time you grasp the entire narrative of A Hairshirt of Purpose and enjoy it as body of music, as an album, and not just as a set of singles with some filler material. These 13 tracks have a purpose as Pile’s loud-quiet-loud approach takes a much more of a mellow approach to get its point across. It feels more melancholic and lonely, but the songs are just so memorable. Each note has become iconic as Pile have made an indie record to cherish. “Ladies and gentleman – I present to you – August By Cake.” That is the introduction Robert Pollard gives on his 100th album which had it all. It was a double album, it featured a hungry and raucous band that contributed their songwriting and vocal talents, and there was a sense of effortless joy at play throughout its 32 tracks. A sense that maybe, just maybe, the restless muse of Pollard found his perfect expression. With August By Cake we have all been given a reminder that guitar rock is not dead. Thank you, Robert Pollard and company, we are all better because of your efforts! Opening with the thunderous guitar riff of “Break a Guitar” it was immediately obvious that Ty Segall’s latest was going to be a pretty special album. Ty changed some things this record and assembled his band along with Cairo Gang’s Emmett Kelly, and headed to the studio to record as a band (with Steve Albini engineering), and not just by himself which has been his normal modus operandi. 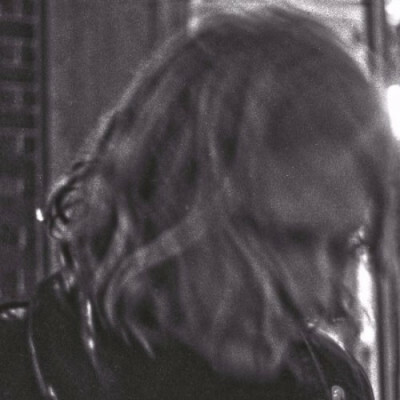 The results of this collaboration on Ty Segall were flat out staggering. Ty Segall is an adventurous album; it’s not a full-blown garage psych freak-out like Slaughterhouse was, though it certainly has moments that could be characterized as such. Ty Segall is another in a long line of truly remarkable albums from Ty, just when you think the guy might be slowing down he hits another one out of the park. Kevin Morby broke out last year with his fantastic third LP, Singing Saw. City Music, builds on that confidence and now becomes his biggest musical outing to date. Singing Saw was all about the solitude of Morby’s quiet recording area so with that concept in mind, City Music is a much busier record that contains all the hustle and bustle you can imagine when the city never sleeps. City Music is an album that, just like the city, has plenty going on. From a Germs cover to the memorable and moving songs that you instantly remember Kevin Morby accomplishes taking his career to a new level. Where Dylan has been a good comparison for his earlier work, City Music finds his inner Lou Reed. 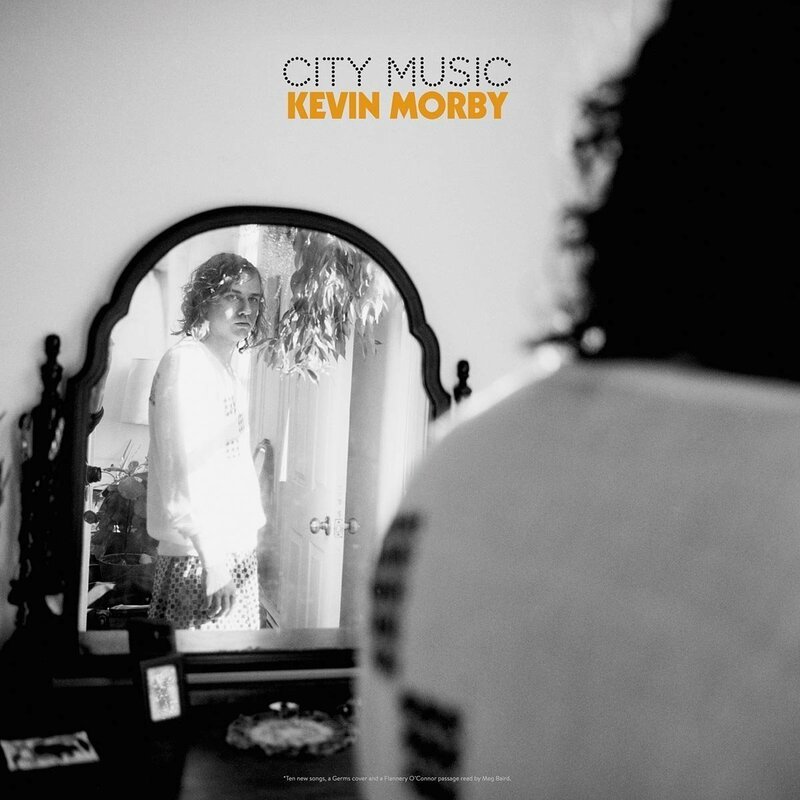 It is this singer/songwriter swagger of confidence that sets Kevin Morby apart as he has a bright future – and that is truly exciting where he goes next! I think everyone chuckled a bit when they heard that Australian upstarts, King Gizzard were going to release five albums this year. Well, the year is not over and they officially have released four LPs. 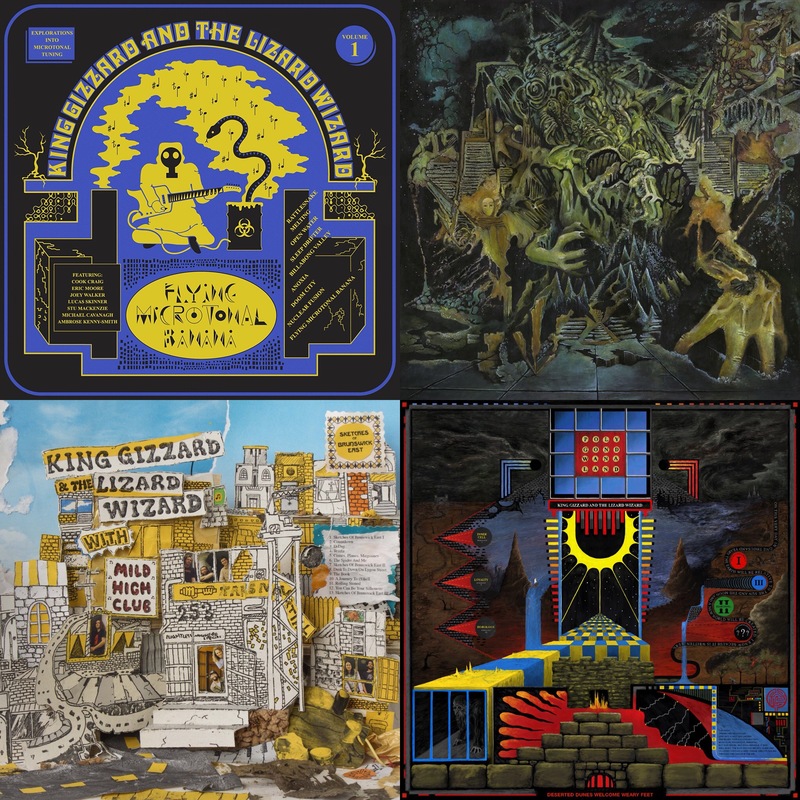 Each had a different flavor while still maintaining the King Gizzard core which included psychedelia, a chaptered concept album, a jazzy collaboration and one they just gave away for anyone to download and release. Lumping these together is sort of a cop-out but all four records were strong and close in competition for being the best. For the record, TFN rank order is 1) Murder Of The Universe, 2) Polygondwanaland, 3) Sketches Of Brunswick East and 4) Flying Microtonal Banana if you wanted to know. We can’t wait for number 5 and 2018 as King Gizzard continues to be one of the best new artists releasing music today. Out In The Storm, is a fantastic introduction. Her songs are full of the imagery of millennial youth: loss and hope, desperation and exhilaration. Unlike many of her contemporaries though, Crutchfield doesn’t let you all the way in. Her words are not torn from the pages of a diary and in that she may be a template for the millions of kids out there sharing every part of their lives (and bodies) on Snapchat. And although her shy nature colors most of her work, this time there’s a bit of swagger. 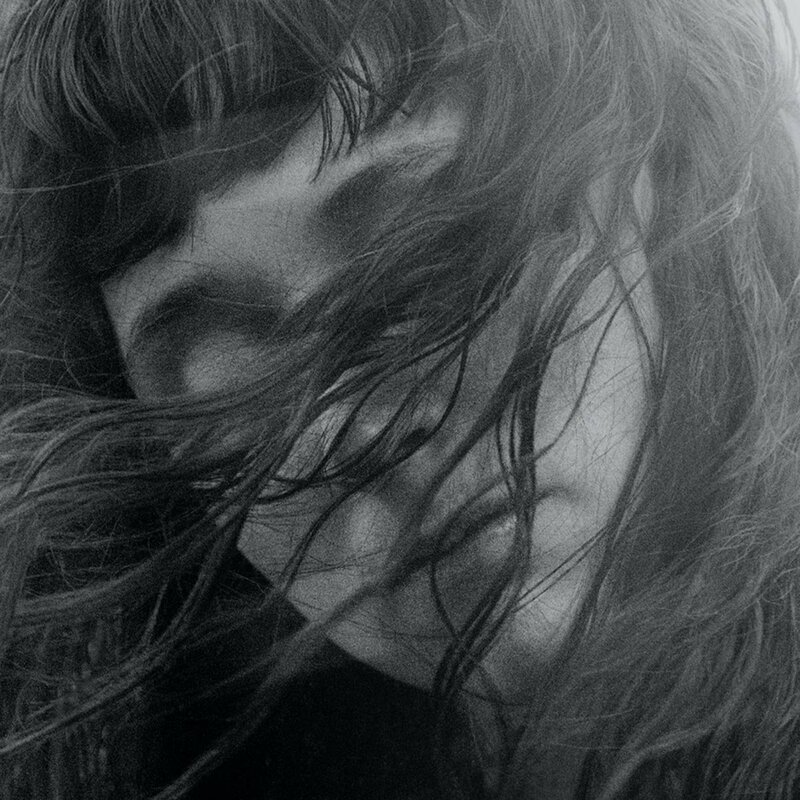 Perhaps a little more confident in herself and her musical worth Out In The Storm represents a resounding bounce back after her dreamy and uneven sophomore effort Ivy Tripp. Katie Crutchfield continues to impress TFN with this tight and inspired set which was hard to put down. Although it’s been 6 years since the last record by Fleet Foxes, in some ways Robin Pecknold & Co. were able to come back to the place where the band left off. 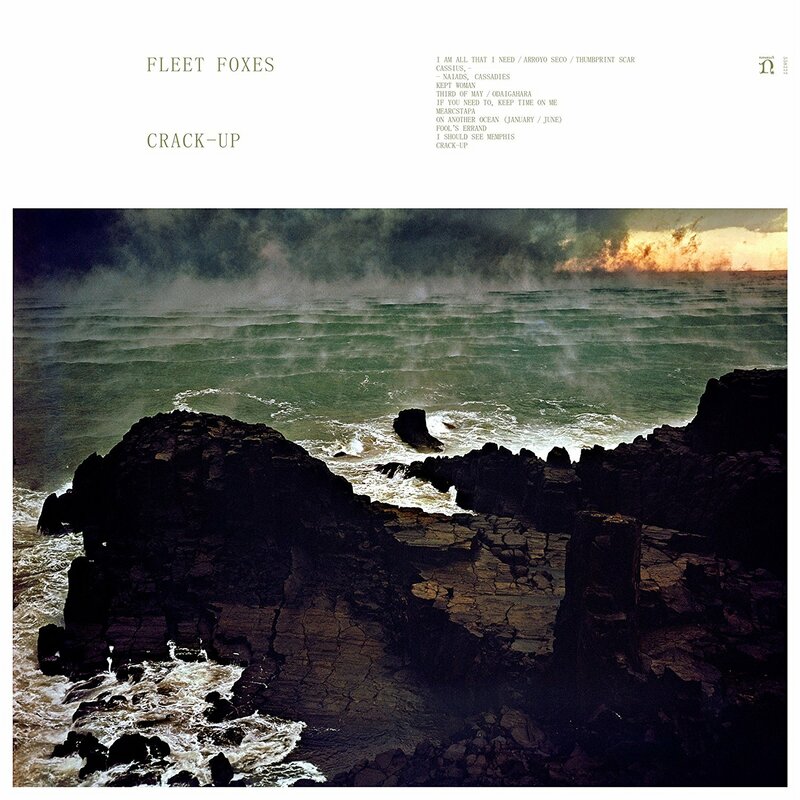 There was still a significant change of focus musically on Crack-Up as Fleet Foxes stretched out beyond any chance of predictable patterns and formulas of previous outings. Crack-Up was a record that took all year to absorb and with each successive listen it moved up our list. There are so many little moments on Crack-Up that just emphasize what a fantastic band Fleet Foxes represent. Let’s hope they don’t stay away so long before their next LP. Right now, you are scratching your head because you have not heard or seen anything on Shagg unless of course you read TFN. This Cleveland band should be on your radar because they will rock the crap out of you for this entire just over 14-minute record. Their arrangements are chaotic, the music is messy and they can blow your speakers out with just Nat Cherry’s scorching vocals. Shagg give you an in your face hi speed rock that is energizing and unrelenting, while their cover of the Wipers “Return Of The Rat” is spot on. We really didn’t expect this record to be this good and it took TFN by surprise. 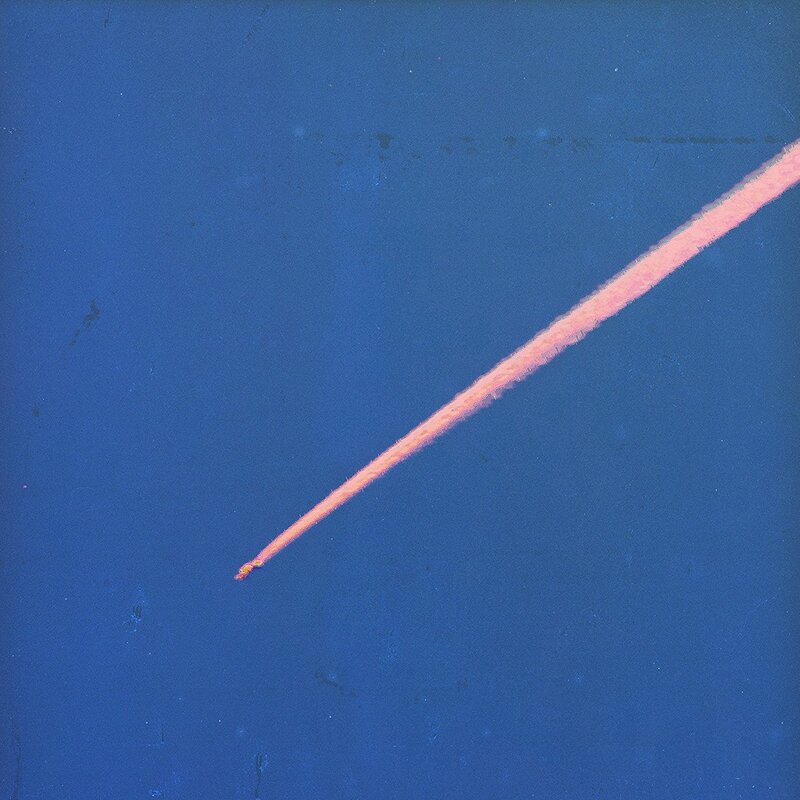 King Krule has a unique sound that blends multiple styles of jazz, garage, psychedelic, blues, trippy beats and indie rock that is guided by London’s Archy Marshall’s veteran Paul Weller, Nick Cave and Tom Waits type voice with a Mac DeMarco, Ariel Pink and Girls style. There are so many styles going on here The OOZ should be a mess but instead it offered something new for you every time you played it. That is the fantastic part about this record because it is fresh, timeless and entertaining. 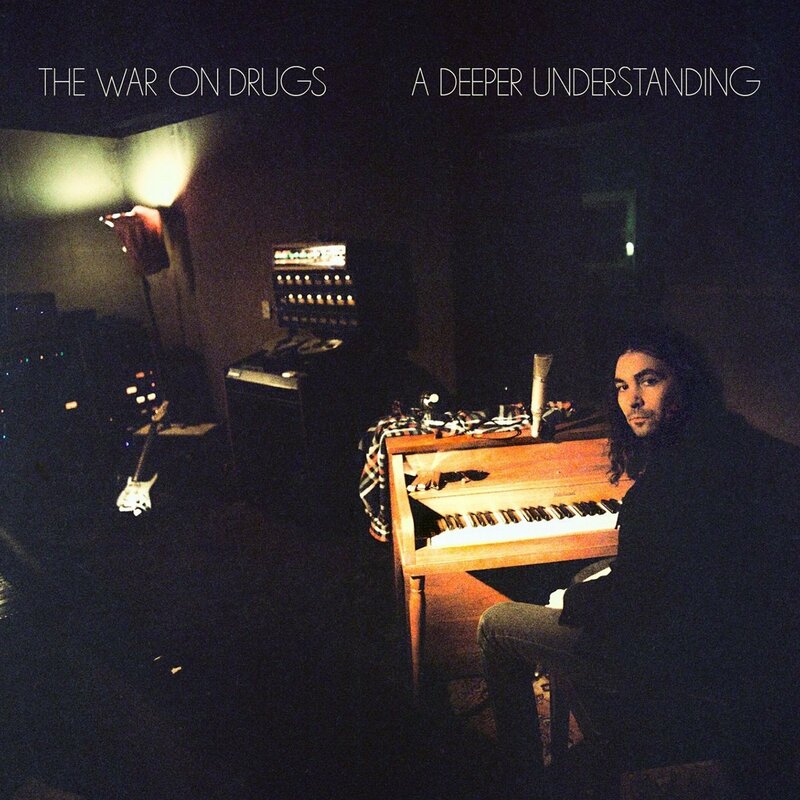 A Deeper Understanding is the War On Drugs fourth full-length album, and it is also one of their most accessible. There are a lot of influences on this album and it’s not news to compare The War on Drugs to Bruce Springsteen or Neil Young but Adam Granduciel nails that classic vibe while being his own artist. With only a few radio-ready songs but with no compromises is where A Deeper Understanding wins. There are ten tracks that clock in at over an hour so War On Drugs asks you to be patient with it as it builds. If you stay, A Deeper Understanding rewards you every single time. Rarely anymore does a debut album get TFN revved up but that is exactly what happened the first time we heard the songs of Cameroon-born artist Laetitia Tamko, aka Vagabond. Infinite Worlds is an album of finding herself with no musical boundaries and that is the beauty here. At times, Infinite Worlds oozes confidence while around other corners it offers that uneasy feeling you get when you don’t know what is on the other side of the door but you need to walk through anyway. 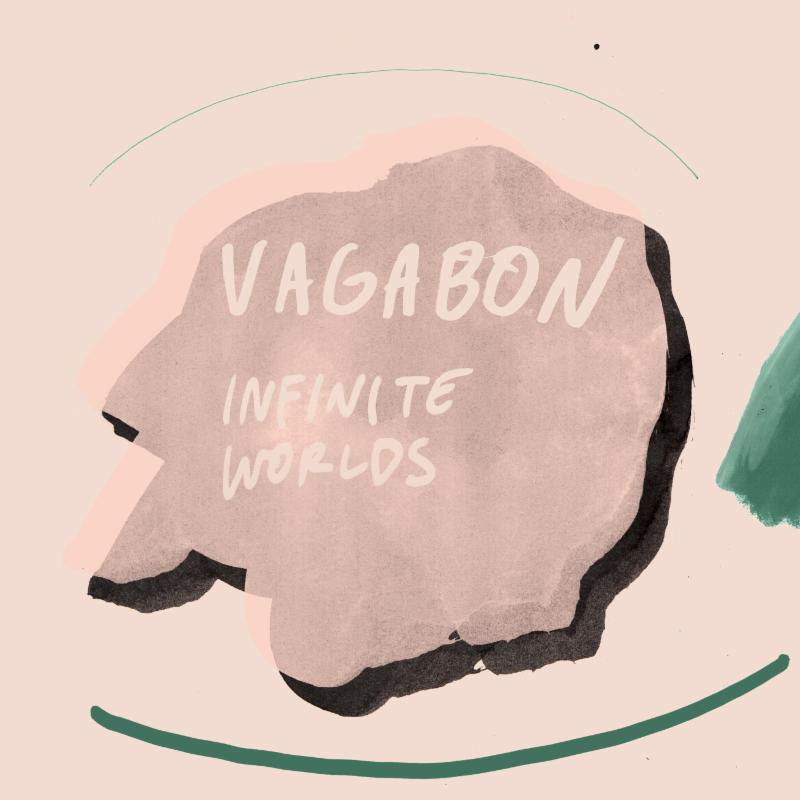 Vagabon offers different moods and styles with each track and the record flexes its muscles and crashes into you like a wave over and over. Her shaky confidence that is guarded but forward shines and it is ultimately why Vagabon has released the strongest debut of 2017. When we first heard Julien Baker on her 2015 debut, Sprained Ankle, you had a feeling it wouldn’t be the last from the young Memphis artist. Her delicate recording showed a raw vulnerability and a mature composure that well exceeded her then age of 19. Fast forward to her sophomore outing, Turn Out The Lights, and you will hear the phenomenal talent of the now 21-year-old Baker bursting out of every song on this record. Turn Out The Lights is the perfect balance of a stylish DIY and the backing of a major indie like Matador. 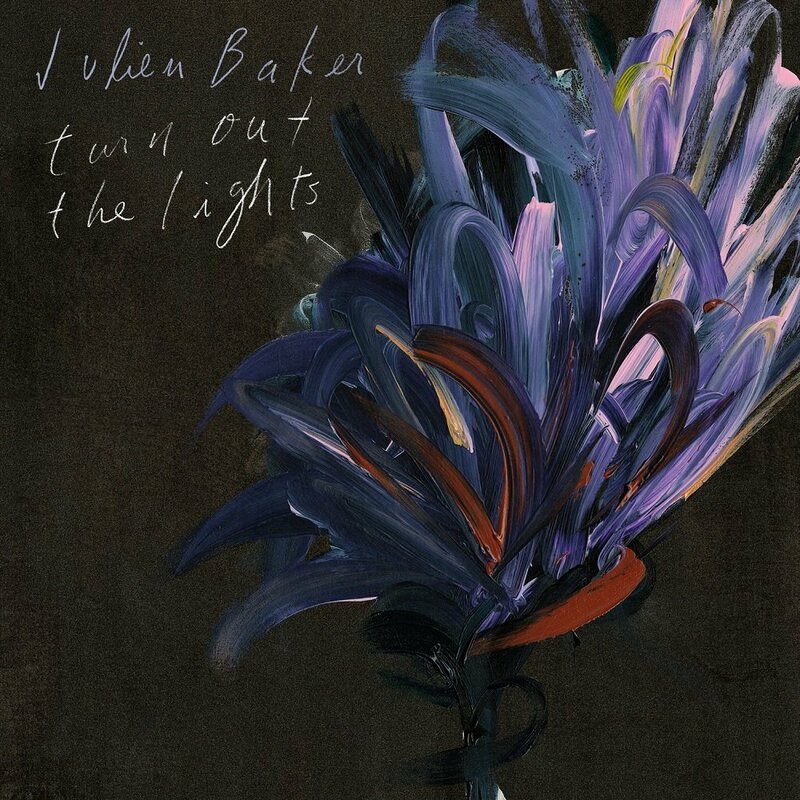 Julien Baker tells her stories, composes heartfelt track after heartfelt track and not only do you instantly want to hear Turn Out The Lights again – you pull for Baker to get through to the other side every step of the way! This is truly one of the better records of 2017. Thank goodness, we have the return of The Afghan Whigs to help rock still have a voice in today’s scene. 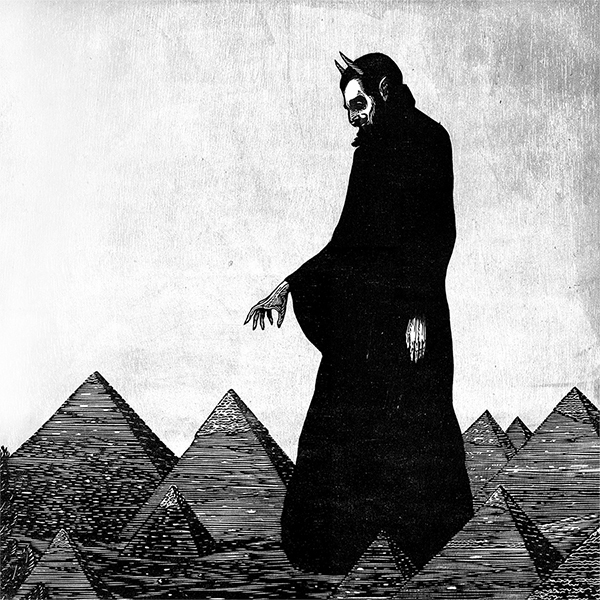 The Afghan Whigs’ returned with a more compositionally rich and textured musical approach that echoed classical musical themes which run in tension with the demanding drums, guitars and Greg Dulli’s compelling vocal howl. The end result gives an energized, and compelling mix of sounds to match the equally dark and emotionally dense images in Dulli’s lyrics, which continue to suggest the brutal, often painful realities of existence. There are too many pop bands, commercial rock and country artists who are succumbing to lowest common denominators as it’s both exciting and encouraging to have an artful rocker of Dulli’s and The Afghan Whigs pedigree continue to stretch musical boundaries with their singular artistic vision. More of this, please! 22 years is a crazy long time to be away and for Slowdive it feels even longer. Today Slowdive fall into the dream pop genre with the likes of Beach House and Low but they are better known for their shoegazing 90’s and will be brought up along with classic acts such as Ride and/or My Bloody Valentine. 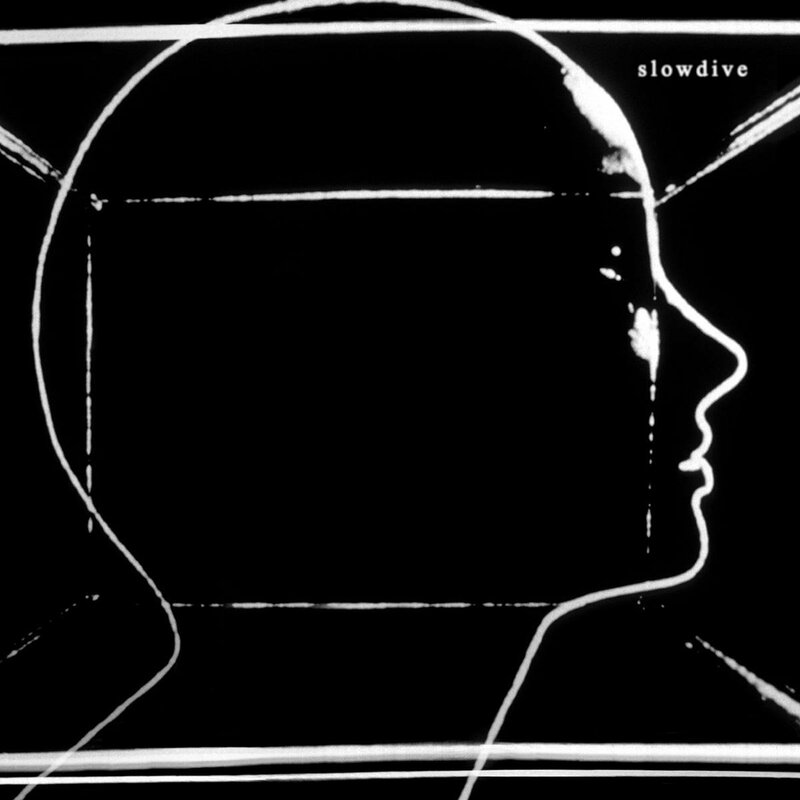 Slowdive’s return is an appropriately aged record that sounds complete from a veteran group as its warmth hits you with such a delicate wave that you forget to hold onto something and get washed away. Their instrumentation is perfectly balanced from Neil Halstead’s smooth vocals to the backdrop riff and backing voices that ripple just below the surface. The 2017 version of Slowdive not only is a confident display of their past but truly relevant for today’s sometimes brutal and depthless indie scene. It is a comeback album for Slowdive that not only secures their place in music history but has now started a spectacular new chapter! The bedroom pop of Alexander Giannascoli aka (Sandy) Alex G has grown substantially since we first stumbled upon his 2014 record DSU on DIY label Orchid Tapes. 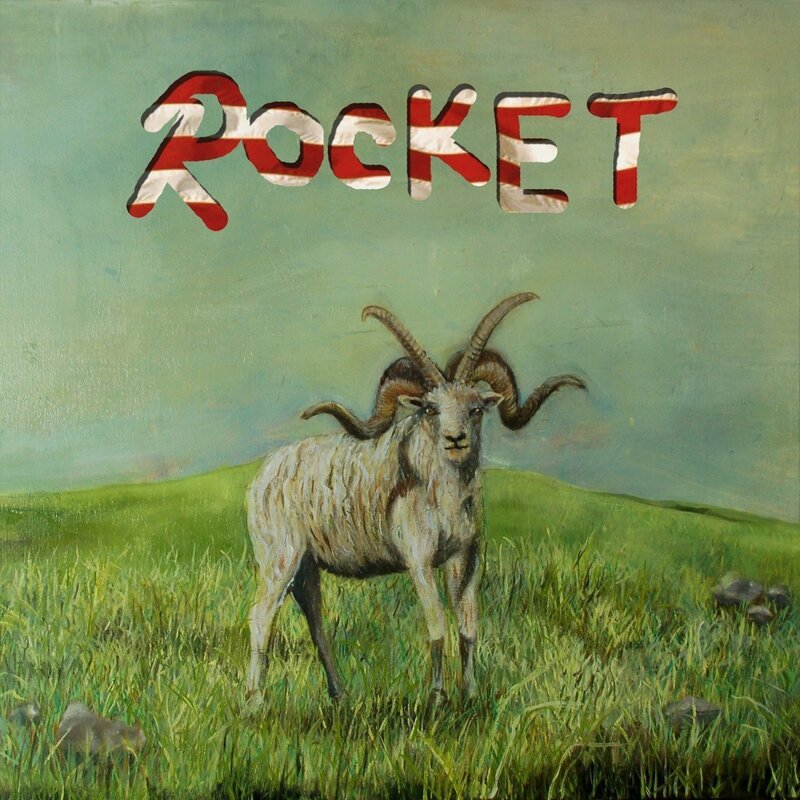 Rocket is the example of why you don’t give up or like many people today using Spotify – simply forget about an artist, because (Sandy) Alex G hits a home run here. Rocket embraces new angles with his bedroom pop wrapped in a dusty folk but he also includes his weirder side with an Auto-Tune number or noise filled songs that reminded us of some earlier Beck tracks. All the songs here from (Sandy) Alex G are different but not out of place. That is the gorgeous cohesion of Rocket and why it landed at #2. You can be forgiven for missing some of Robert Pollard’s output – the discography is indeed deep and daunting. With that said, there are no excuses for skipping How Do You Spell Heaven. 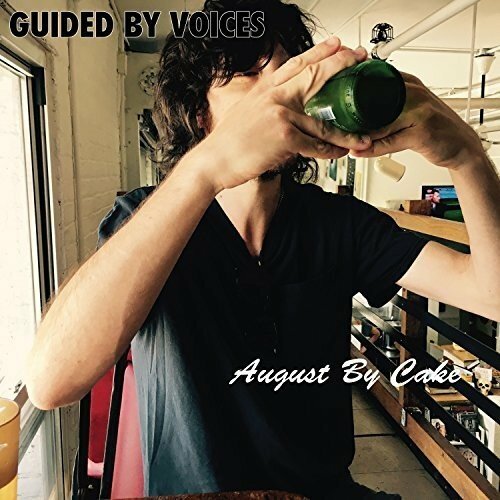 With one of the most solid lineups GBV has seen that includes Doug Gillard and Bobby Bare Jr on guitars, Mark Shue on bass and Kevin March behind the kit, Guided By Voices delivered one of the most straight-forward GbV records to date. From the four-minute instrumental T-Rex kind of jam in “Pearly Gates Smoke Machine” to the classic rock and jangly power pop of other tracks GBV was able to boil down everything that made the double record, August By Cake such a thrill ride into a single, easily digestible LP. 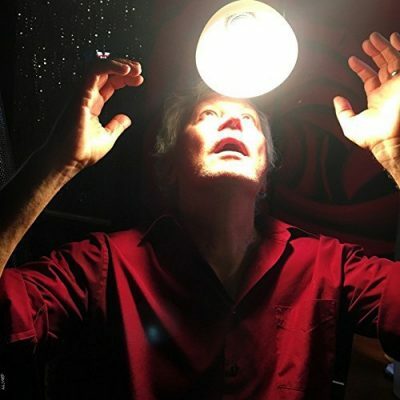 There is never a bad time to get onboard with Guided By Voices but you couldn’t pick a better time than now as How Do You Spell Heaven is our pick for the best album of 2017! Someone needs to listen to Godflesh’s Post Self album, though… easily in the top 5.